THE TIME OF THE TITANS HAS DAWNED ONCE MORE. In less than two weeks, the NEW ENGLAND PATRIOTS and the SEATTLE SEAHAWKS will step onto the field of the University Of Phoenix Stadium on February 1st for the 49TH ANNUAL SUPER BOWL 2015! WITH THIS GREAT AMERICAN TRADITION APPROACHING, it’s time we get your couch ready for your Patriot and Seahawk fans. No matter what side of the field you’ll be cheering for, FINELINE SETTINGS will help make sure your game day dining is easy, affordable, and disposable. Don’t let dirty dishes cut into your cheer time, and take advantage of our fully recyclable, highly durable products! NO GAME DAY EVENT WOULD BE COMPLETE WITHOUT THE MVP SUPER BOWL COLLECTION! 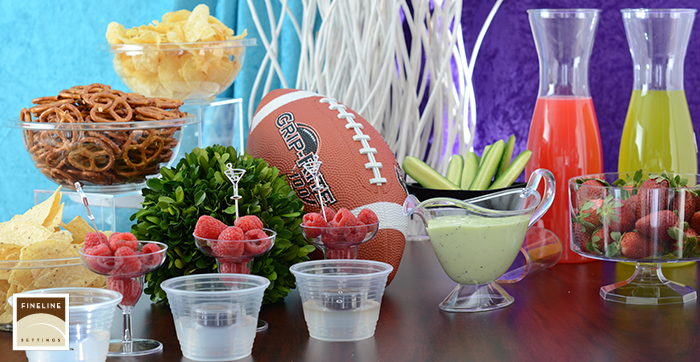 With our selection of Bowls and Lids, your party is sure to score a Touch Down! With our bowls coming in both black and clear, and ranging from 24 ounces to 320 ounces, and our PET lids that are both dome and flat- you’ll be a winner this 2015! MAKE SURE YOU INCLUDE OUR ALL-STAR TEAM OF QUENCHERS TO YOUR PARTY so your brews, buds and beers make it to your Super Bowl Sunday in style! With our array of TUMBLERS, SHAKERS, SHOOTERS and BLASTER, you’ll be taking home the prize! IF YOU NEED SOME SUPER STAR SERVING UTENSILS, then the PLATTER PLEASERS collection has a massive selection of Serving Forks, Spoons, Tong and more that will fill your fantasy team and make your day an easy win! LET’S GET TASTY WITH AWESOME SUPER BOWL RECIPES! OUR FIRST RECIPE WE HAVE TO SHARE WITH YOU IS FROM LIFE IN THE LOFTHOUSE. This blog, started by HOLLY LOFTHOUSE, a professional Recipe Developer, shares the recipes she has created and showcases her remarkable knack for tasty, beautiful, and family friendly food! We thought her PEPPERONI ROLL UPS were the perfect quick and easy Super Bowl snack! THERE ARE VERY FEW EXCUSES ONE HAS TO STAY COMMITTED TO THEIR NEW YEAR’ DIET RESOLUTIONS during the Super Bowl. It is borderline unfair that the two dates are so close together, but we just couldn’t resist sharing this next one with you- it was just too awesome! We’re taking a look at the fantastic CHEESY JALAPENO PULL BREAD recipe shared us by ELISE on SIMPLY RECIPES! This beautiful and delicious crowd pleaser is super easy and satisfying. With its spicy and gooey goodness, we know you and your guests will enjoy getting their fingers messy with this one! 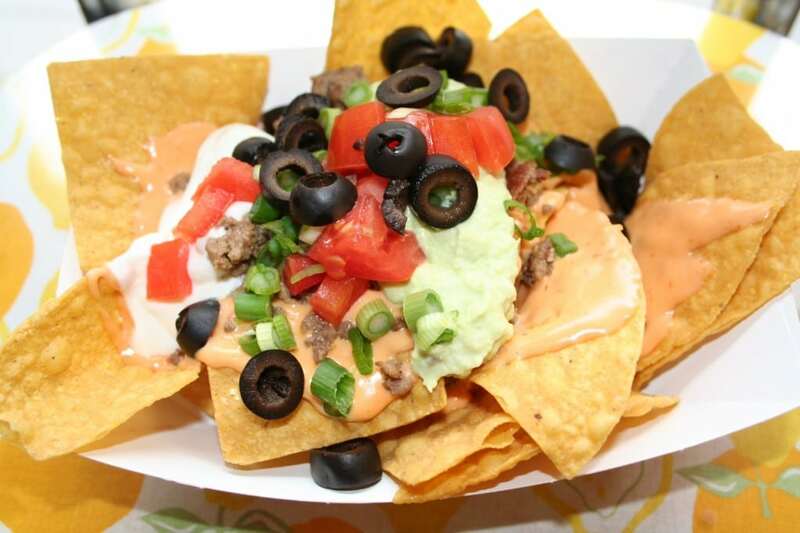 NO SUPER BOWL BASH WOULD BE COMPLETE WITHOUT NACHOS. It just isn’t right- it might even be a crime in some states… That’s why, we were quite happy to have found this unique twist on a classic game day favorite. We look to the phenomenal magician, SARAH, and are happy to share her SUPER BOWL NACHO BAR! Over at her blog, THE MAGICAL SLOW-COOKER, this part-time crockpot super hero shares her fantastic slow cooker recipes and keeps them simple and easy! You and your guests will have a great time customizing your perfect, personalized nacho plate. Get the family, friends and rivals together and enjoy a very happy Super Bowl Sunday. Keep it clean and no tackling one another, folks- unless it’s for a congratulatory hug! We would love to see some of your Game Day photos using our Products and maybe some of the recipes we included here today! We just love hearing from you guys! Take it easy, and GO TEAM!